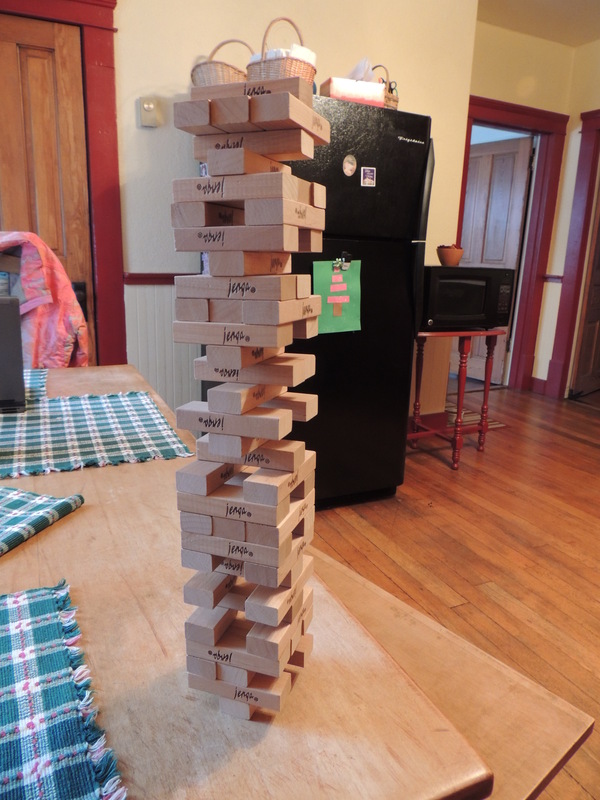 We love the game “Jenga” at our home. The thrill of finding that loose piece, and then placing it on top without making the tower fall, is a simple thrill that makes us all happy. Near the end, you end up practically holding your breath so that tower will stay up and in one piece. “Don’t fall, don’t fall,” is the constant refrain. But eventually, it falls. And guess what? We rebuild the tower and start again. The obvious comparison is there in our lives. We eventually fall, or fall short, in some way. We can’t be perfect all the time (or even some of the time) and stand straight and tall and unwavering forever. But the amazing news is that Jesus will pick us back up, dust us off, and let us start the game over totally new with His strength. This entry was posted in Christianity, Faith, Family, Life, Love, Photography and tagged Bible, games, God, Hope, Jesus by lyonsroarforgod. Bookmark the permalink. What a great a comment and verse. Simple, elegant and very powerful. Guess what my family and I are playing tonight. You bet, I also shared on Facebook. Wow! Awesome post today. This would be my favorite post of the ones that I have read. Great comparison. Keep up the uplifting work. Thank you so much! 🙂 The encouragement is always so appreciated. Praying for a blessed and happy day for you today.